Exercise trends come and go, but with the backing of some compelling science, High Intensity Interval Training, or HIIT, may be here to stay. This exercise model combines brief, very-high intensity bursts of cardio that significantly raise the heart rate, followed by equal or longer periods of moving rest (for example, sprinting followed by walking). Orangetheory Fitness in Portland, 9Round in Gorham and TRUEFIT30 in South Portland are among the specialty gyms responding to the trend, with workouts that combine HIIT with strength training and conditioning. According to the U.S. Department of Health and Human Services’ Physical Activity Guidelines for Americans, any movement is good for overall health, but optimal health benefits “require a little more effort.” DHHS recommends at least 75 to 150 minutes per week of vigorous activity, or 150 to 300 minutes per week of moderate-level physical activity for adults. That “vigorous” zone is where HIIT workouts stake their claim. When the head coach position opened up, Frame jumped at the chance. She’s been in the role since April 2017 and has no plans to leave. There are plenty of opportunities within the company, which is the fastest growing fitness chain nationwide. The Portland location alone has over 1,000 members, about 70 percent of them women. Founder Ellen Latham developed Orangetheory as a workout she claimed would “metabolically charge the body.” The company claims it has mastered a way to make you burn calories after your workout is over, via what some refer to as “the oxygen debt” or excess post-exercise oxygen consumption (EPOC). By challenging yourself at a certain level of intensity, the kind that causes you to lose oxygen, the body then kicks into higher gear to recover that lost oxygen. This in turn revs your metabolism. This “intensity” piece of the HIIT equation is measured by percentage of maximum heart rate, a number calculated by an individual’s age. According to Orangetheory, if a participant is exercising in the 84–91 percent “Orange Zone” (or above 91 percent in the “Red Zone”) for at least 12 minutes of the 60-minute session, the calorie-burning rev can last between 12–36 hours post workout. To track progress, members wear a small plastic heart rate monitor, held snugly in place over the sternum by an elastic strap. There’s also an armband option, but the chest version is more accurate. In the gym, the names of everyone in the class appear on a large screen mounted to the ceiling, and their heart rates, calories burned and accumulated “splat points” (minutes spent in the Orange or Red zones) update throughout the 60-minute workout. Everyone moves at his or her own pace as well, and workouts can be adjusted if needed. The coaches at Orangetheory have to be certified personal trainers, a requirement Frame feels sets them apart from other gyms. “It allows us to tailor workouts around all fitness levels and limitations, such as injuries,” she says. The workout itself is divided into three parts: treadmills, rowing machines and strength-building floor work. Depending on the class, up to 36 people can be accommodated. Classes run throughout the day, and the most popular times are at 5 a.m. and 6 a.m., after work and Saturdays. Some members sign up weeks in advance for their preferred time slots. Depending on membership level, sessions cost between $8–$20 per class. 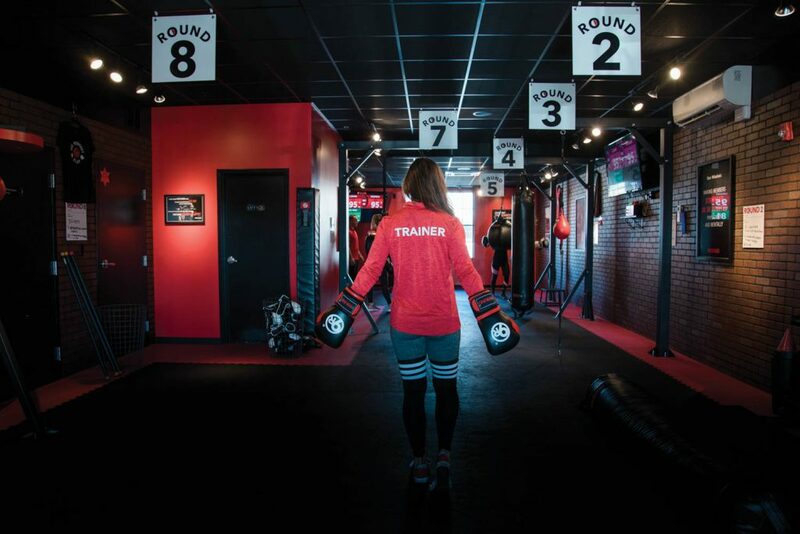 9Round in Gorham doesn’t require class registration—members can jump into the circuit whenever they arrive, and 18 people can fit on the floor at once. 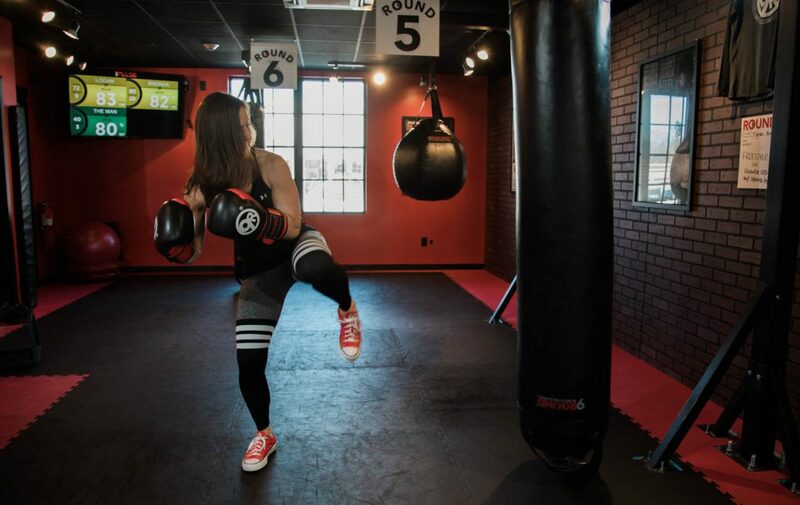 This 30-minute kickboxing workout keeps members moving through nine stations, called rounds. Six of the rounds incorporate punching bags (large bags provide resistance, smaller bags teach technique and hand-eye coordination). Each round lasts 3 minutes, with the last 30 seconds meant to be an all-out, heart-pumping push, and then 30 seconds to recover. The gym also uses heart rate monitors and posts members’ stats on three screens throughout the gym. 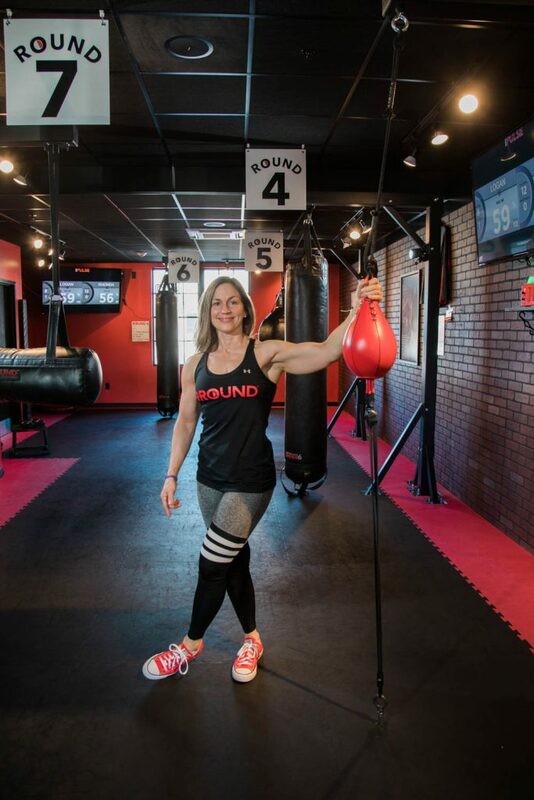 This “come anytime” model has worked well for owner and trainer Ted Rioux of Gorham, whose gym is one of the fastest growing 9Round locations in the country. “We’ve been so graciously accepted by the community,” Rioux says. 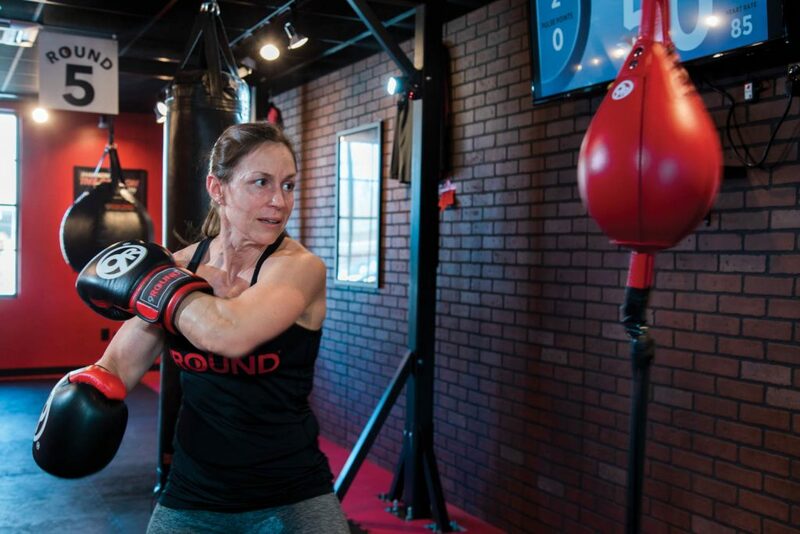 He, his daughter Terra and his wife Melissa Harris-Rioux, a nurse at Maine Medical Center, invested in three 9Round franchise locations (there are over 700 nationwide). Their Gorham gym has over 400 members (80 percent are female), they’re about to sign a lease in Westbrook and scoping out a spot for the third gym. 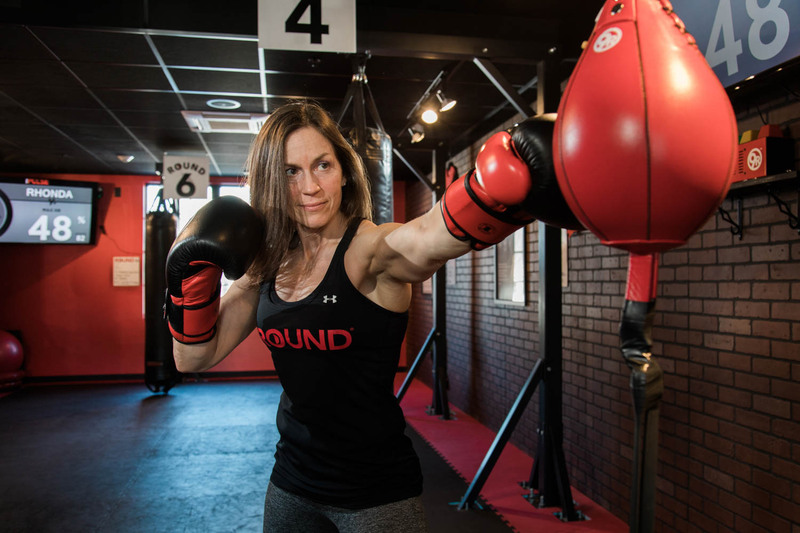 Developed in 2008 by kickboxing world champion Shannon Hudson and his wife, the 9Round program is designed for busy people who don’t have hours to spend at the gym. “You can get a great workout in 30 minutes with the right exercises, the right equipment, and the right intensity,” Rioux says. His goal is to keep members in the yellow zone, at 82–91 percent of their max heart rate, the ideal fat-burning zone. He says that above 91 percent (the “red zone”) exercise shifts from aerobic to anaerobic, “characterized by insufficient oxygen to supply the energy demands being placed on muscles.” For those who aren’t as fit, Rioux says, they risk burning muscle in that zone. But with training, 9Round members can reach the anaerobic level without compromising the muscle, he says. “Exercise that incorporates both aerobic and anaerobic training, which the 9Round workout does, are ideal,” Rioux says. TRUFIT30 is an independent gym in South Portland that combines cardio, strength training, and heart rate monitoring “to produce an effective total body workout in just 30 minutes.” The creation of Lewiston native Colt Steele and his father, Clint Steele, a Gorham chiropractor who has trained professional and collegiate athletes, TRUFIT30 focuses on “real life fitness” for all ability levels and emphasizes correct, safe form. Steele also starts each new member off with an InBody composition scan, which breaks down things like muscle, fat and water masses, allowing the trainers at TRUFIT30 to more accurately track members’ progress and adjust as needed to meet goals. The South Portland gym has only been open since September, but already the Steeles have plans to double their equipment. Currently they can fit 20 people at a time moving through 10 3-minute stations. Most of their members are women, though Steele is quick to point out the workout is for anyone. While Grigel fully supports HIIT as part of a fitness plan, she encourages people to look at the bigger picture of wellness and pay attention to slowing down. When workouts promise quick results and come with smartphone apps, they could become just another thing we’re trying to do faster, with technology at the center. The three gyms featured here offer a free introductory class for local residents. All are members-only with annual or month-to-month payments options (Orangetheory does also offer a punch pass), all change their customizable workouts daily, and all utilize heart rate monitor technology with an accompanying app. But maybe you want to work in HIIT at home without relying on a heart rate monitor or a gym membership? The American Heart Association published these tips on how to know if you’re in the zone while you’re working out. If you can speak but not sing, that would be moderate intensity. Can’t sing? Or speak in full sentences? You have arrived at high intensity.